From route 10 in Lyme NH follow Dorchester Road 4.75 miles to the trailhead on the left. The gravel lot is marked with a trail kiosk and has parking for 10-15 cars. 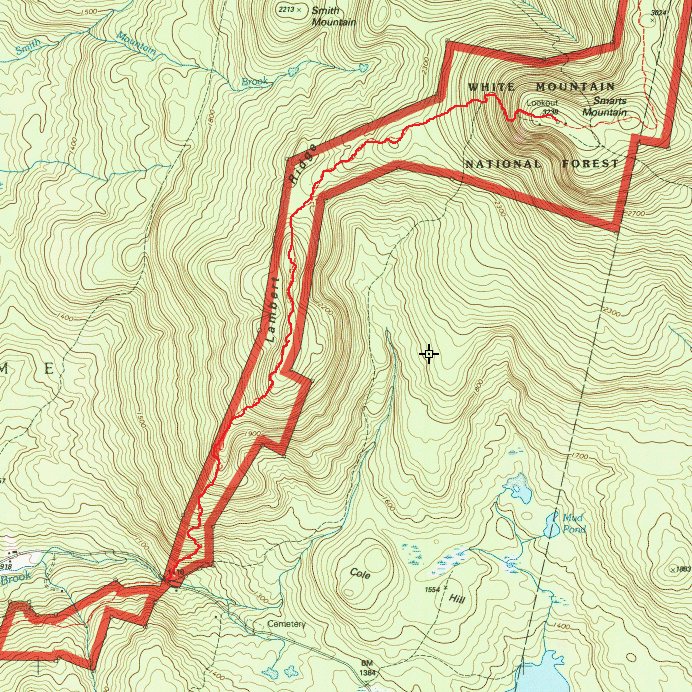 The parking area on Dorchester road serves two trailheads both leading to the summit of Smarts Mountain. The Lambert Ridge Trail begins opposite the trailhead kiosk and map and follows white blazes also marking the Appalachian Trail. The trail ascends steeply through a hardwood forest soon reaching open ledges after approximately 1 mile. The open ledges transition to and from the woods and provide good peephole viewing mostly in an easterly direction. At approximately 2 miles you'll reach your first view of Smarts mountain and the fire tower at it's summit. The trail drops into a hardwoods forest and remains nearly level for a good distance before transitioning to the steep steps. 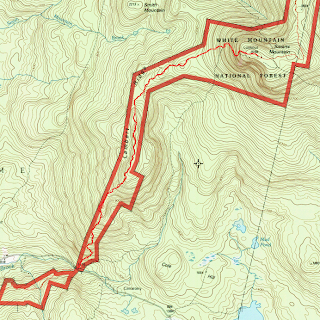 At 3.5 miles you encounter the junction with the Ranger trail and the Smarts mountain summit is a steep 0.5 miles away. The are no views from the summit proper however there is a standing inactive fire tower which provides panoramic views from the cab. Smarts Mountain stands at 3238 feet elevation however has an elevation gain over 2000 feet making this little mountain the 9th most prominent mountain in the state of New Hampshire. It is the highest point in the town of Lyme and on several hiking checklists such as 52 mountains With a View and the NH 3000 footers. It's 41 foot standing inactive fire tower was originally built in 1915 however the Dartmouth Outing Club made several repairs over the years where it remained in service until 1980. Wooden stairs and a steel ladder ascending a steep pitch nearing the summit. The Smarts Mountain fire tower.